Private pilots who operate small aircraft are used to being especially tuned in to weather forecasts. Keeping up with the latest meteorological news is vital for a safe and efficient flight, and understanding weather patterns, signs and predictors of inclement weather is incredibly beneficial for pilots of all types of aircraft. But despite their best efforts, we all know sometimes meteorologists and weather reports can be wrong. That’s where having your own knowledge, understanding, and expertise in navigating fast-changing weather can be beneficial. Here are five types of storms that private pilots need to educate themselves on to help be prepared no matter what Mother Nature brings. Pop-up thunderstorms are most likely to happen in the heat of summer, making air navigation a bit more tricky for the average private pilot. If a thunderstorm suddenly appears anywhere near an airport, it can ground planes due to strong winds, lightning and reduced visibility. The scary thing about these types of storms is that they can appear out of nowhere. That’s why it’s so critical to learn how to read weather monitors, patterns and characteristics, especially while in the air. Also, later in the summer into the autumn months, you may have to contend with hurricane season, depending upon where you live, which peaks in August and September. For private pilots that encounter heavy rainstorms, you may need to pick another day to fly. If you happen to be flying toward a deluge, re-route your course and head toward clear skies. Visibility can be limited to essentially nothing, and airports that experience heavy rainfall will ground planes until the rain moves out of the region and it’s once again safe to navigate the airways. In addition, flash flooding on runways can be disastrous, so if you’re already in the air when you hit heavy rains, keep an ear to the radio for the latest news and updates on the path of the storm so you know where to go and what runways are available to you. Also be aware of any additional dangers like hail which can cause severe damage to aircrafts. Derechos are potentially devastating straight-line wind storms that often come on quickly, and are more likely to occur in warmer weather months. While wind is often the largest factor to be aware of (the National Weather Services classifies derechos as having winds of at least 57 MPH), these storms are associated with severe thunderstorms, with the winds heading quickly in the direction of the thunderstorms. These storms are fast-moving, and can produce hurricane-force winds, heavy downpours, and even tornadoes. For pilots in a derecho, one of the most important considerations is wind shear. Navigating these winds that can quickly change speed or direction is incredibly difficult for pilots, and can cause the aircrafts to fly erratically and make controlling the aircraft challenging. If you find yourself heading toward a derecho, change course immediately. While commercial airliners may be able to fly through electrical storms without issue (thanks to the fact that they can fly above the clouds), those piloting single-engine aircraft would be wise to stay on the ground should an electrical storm be in your vicinity. Lightning is the biggest danger here. When lightning strikes a single-engine aircraft, it can cause the electrical system to go haywire, affecting the avionics. Stay on the ground if your destination requires flying toward potential lightning, or change course if you encounter a storm in the air. While snow isn’t fun to fly through, it’s not as dangerous as some of the other items on this list. However, when the snow gets really bad, it becomes extremely hazardous due to reduced visibility. Blizzards can completely limit how far you can see, especially when flying at night. If you’re a private pilot, always be on the lookout for blizzards and heavy snowstorms, and plan your flight path accordingly. Freezing temperatures means you’ll also need to be aware of ice forming on the plane which can impact airflow, as well as icy runways. See these tips for preparing to fly in the winter. Learning about weather, and regularly checking meteorological reports – even when you aren’t planning on flying any time soon – can help you become familiar with weather patterns, terms and characteristics. These will certainly come in handy as you take to the skies. As you prepare for a flight, keep an eye to the skies and an ear to the radio. Check in on weather reports both for your current location and destination and be sure to listen to the experts and air-traffic controllers. 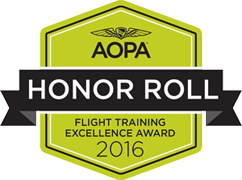 Are you interested in learning more about becoming a private pilot? Get in touch with Inflight Pilot Training today! We are a leading flight instruction company serving Minneapolis, St. Paul and the surrounding areas. 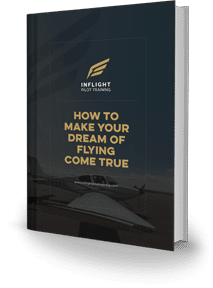 With a reputable training program and an extensive roster of highly skilled, certified flight instructors, we can give you the freedom to fly to the greatest destinations in the state of MN.